We are delighted to announce that the 2019 Annual Spring Lunch is now SOLD OUT, more than a month in advance! 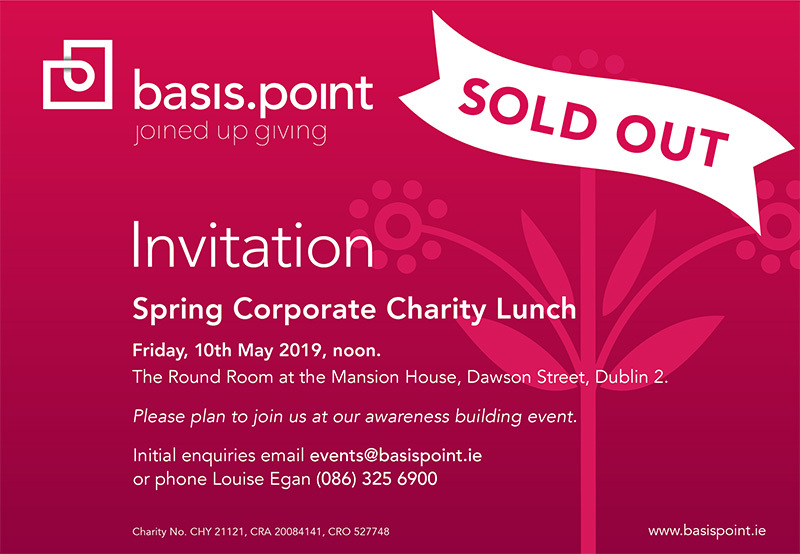 We are looking forward to welcoming 450 guests to The Round Room at the Mansion House on Friday, 10th May 2019. Thanks to everyone for supporting us! You can still register and get added to a waiting list. You will be notified if spaces become available.